As a dedicated cat owner you’ve probably noticed your cat sleeps a lot more than you do. I feel like mine are asleep almost all the time! If you’re anything like me you’re probably jealous of how much your cat gets to snooze. At the same time you might also wonder why your cat sleeps so much. Why do they get the joy of dreaming for so many more hours a day? Why do they get to laze about and snooze in the sun while we work to provide food for them? The list of questions could go on and on! So let’s find out how much they sleep, why they sleep so much, and then dig into the types of sleep they have! How Much Does a Cat Sleep Each Day? Cats sleep between 16 and 20 hours a day. Very young and very old cats sleep even more than this. When cats are first born they sleep almost 24 hours a day. If you were to rank animals by the number of hours they sleep cats would be right at the top of the list. I’m envious I will admit. My FitBit tells me I hardly sleep 7 hours a night on a good night. Cats sleep so much for good reason. Especially domestic cats. 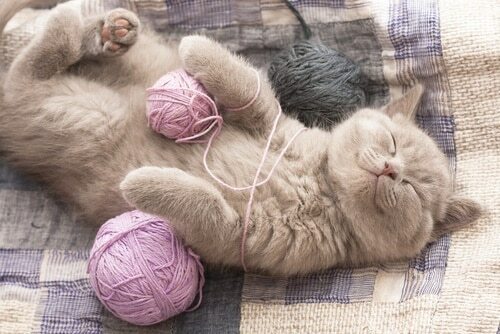 You may think cats sleep so much just because they can. While that is a small part of the reasoning there is much more to it. Cats are predators, and your fluffy friend hasn’t changed much genetically from the wild cats that wandered about hundreds or even thousands of years ago. As lone hunters, cats have never had an easy time catching prey. What this means is wild cats hunted frequently before catching any meal. This means lots of stalking and waiting for that right moment to finally pounce. Pouncing for the kill requires a significant burst of energy. In the wild, if the cat didn’t have sufficient energy to capture and kill their prey, their next potential meal would scurry away, leaving the cat hungry. Tigers are great examples of this today. They hunt in a similar way. They spend a great deal of time stalking prey and then use a huge burst of energy for the kill. Unfortunately for tigers, their prey often escapes. Cats have evolved to enable huge bursts of energy for taking down prey. This means being asleep for the majority of the day while their body stores up the necessary energy. On the flip side of hunting is another reason for sleeping extensively. If a cat is sleeping it isn’t exerting much energy. 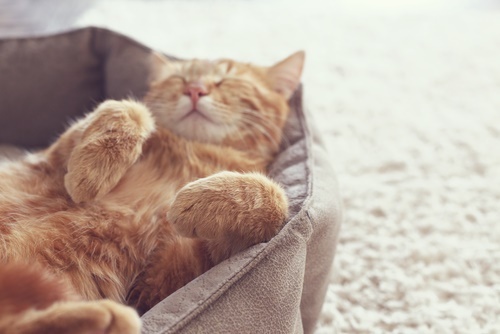 Sleeping constantly helps your cat conserve energy for when it needs it. Do Cats Sleep Like Us? Cats aren’t programmed to sleep like humans. While there are some similarities, there are a lot of differences as well. First and foremost, cats aren’t very active during broad daylight. You may have heard cats are nocturnal, but this isn’t quite correct. Cats are crepuscular. They are most active immediately after dawn and just before dusk. Even though cats spend at least two-thirds of their lives sleeping, their sleep is quite a bit different than human sleep. Cats have multiple stages of sleep like humans do (think light, deep, REM). But, the stages and cycles have been shown to be quite a bit different. Their sleep cycles last only about twenty minutes. About fifteen minutes of each cycle is in the light phase with small bits of deep sleep and REM sleep. These twenty minute cycles repeat over and over, but light sleep dominates each cycle. Light sleep is very easy for a cat to snap out of quickly. If you disturb your cat while it is sleeping and it springs up quickly, that means your feline was in the light phase of sleep. When cats are in the light phase of sleep It is almost as if they are sleeping with one eye open. This ability to quickly spring into action kept cats safe in the wild. Remember that although cats are predators they are small enough to be prey too. Quickly identifying a threat and escaping is a necessary skill for wild cats. This same skill also enables cats to quickly detect nearby prey and kill it. Quite useful when every hunt is important. Can I Adjust My Cats Sleeping Schedule? It is very frustrating if your cat is awake when you want to sleep. This is most common when your cat is home sleeping all day while you’re at work or at school. The good news is you can solve this problem. You basically want to mimic the experience your cat might have in the wild. If you go to bed at 10:00 PM, play with your cat at 8:30 for 30 minutes then feed it at 9:00. After this it will likely groom itself and then naturally be inclined to get some sleep. By using your cat’s natural tendency to perform these actions in order you will help your cat get into a more consistent schedule. Do your best to play with your cat every day in structured sessions around the same time each day, and it will drive your cat to adapt to your schedule, research shows this. If this adjustment alone isn’t solving your problem then you can explore other options. 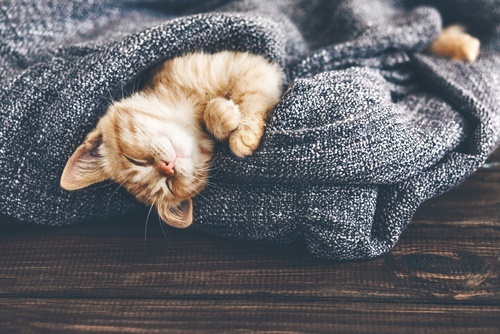 Check out this article with 17 tips to help you get your cat to sleep when you do. Does Anything Else Impact Their Sleep? It is no surprise that weather can impact your cat. We humans often experience this. If you’ve ever felt particularly drowsy or low on energy on a cloudy day then you’ve run into this phenomenon. Cats can have the exact same experience. Cats sleep more when the weather calls for it, especially when it is rainy or dreary outside. While there isn’t research proving this, it is theorized that felines have simply learned it makes more sense to sleeping in lousy weather to conserve energy. It is more difficult to hunt when it is raining. 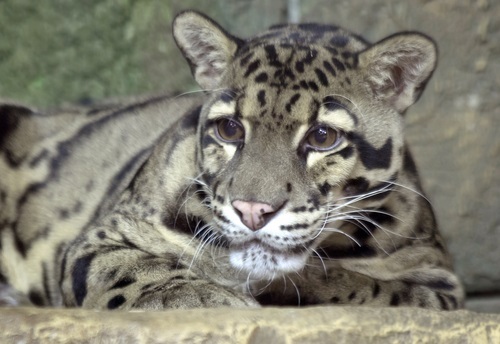 Fewer animals are out and about and it masks scents a cat might use to track prey. 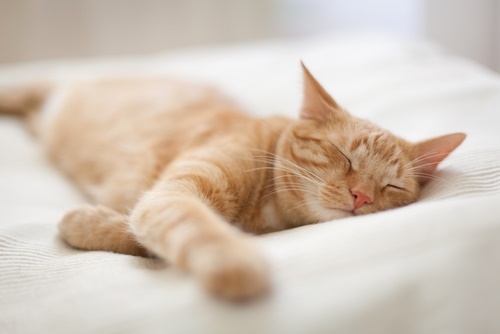 Even if your cat never goes outside the weather can still impact their sleeping pattern. This may come as a surprise to cat owners, but humans experience this as well. I’m looking at you,Pacific Northwest! Cats sleep 16-20 hours a day and even more as kittens or senior felines. Sleeping creates energy stores for hunting. Sleeping conserves energy when not hunting. 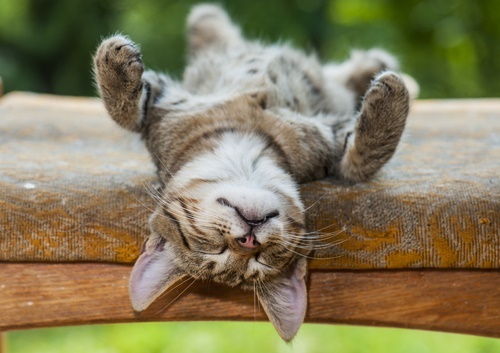 Cat sleep has its similarities to human sleep, but cats spend more time asleep than we do. You can use your cat’s natural tendencies to help adjust its sleeping schedule: hunt, eat, groom, sleep. If you have any other thoughts on cats and their sleeping habits, please leave a comment below or send me an email at [email protected] so I can update this article. Craig is the founder and author of the cat blog StuffCatsWant.com. StuffCatsWant is dedicated to providing high quality product reviews about all sorts of cat products and providing advice on general cat care. Craig has owned numerous cats, fostered even more cats and is a long time volunteer at PAWS Chicago. Great blog post! I really enjoyed reading.